What is the best order fulfillment service of 2019? The best order fulfillment service of 2019 is Fulfillment by Amazon or FBA. It leverages Amazon’s renowned logistical and technological expertise, a global network of fulfillment centers, and world-class customer support. FBA ensures that your products are processed and stored properly and promptly delivered to customers in any part of the world. Are you looking for a new order fulfillment service for your business or maybe you’re thinking of upgrading your current service to a better one? We’re here to help you make the optimal choice with our list of 20 best order fulfillment services of 2019. Our selection is a result of intensive research into each service provider’s market presence and popularity, our SmartScore evaluation, analysis of user reviews across the web, and several other factors. Our intention here is to make you know what the best choices out there are so that you have all the information you need to pick the best service to fit your business requirements. While we’ve covered the highlights and unique offerings of the 20 best order fulfillment services that we’ve included here, you can also read full reviews of each of the service providers if you need more details. What are 20 best order fulfillment services and companies of 2019? What can an order fulfillment service do for you? The benefits are many. Order fulfillment services are third-party vendors that fulfill orders for other companies such as online sellers, e-commerce or even brick-and-mortar stores that do not possess warehouse and distribution facilities. These services help reduce infrastructure and logistical costs as well as improve the operational efficiency of merchants and retailing businesses. You can head over to our handy guide on order fulfillment service to find out more about its benefits, features, types, pricing, trends, and issues. But just to keep you up to speed on what the business and process of fulfilling customer orders entail, here’s a refresher. Essentially, order fulfillment services provide receiving, processing, and delivery services on behalf of a client company. This service type extends to a wide array of transactions, ranging from large business-to-business to individual direct-to-consumer orders. For e-commerce or online businesses, fulfillment is a big task and responsibility as it involves time–consuming and resource-intensive processes that include taking orders, packaging, processing payment to shipment and delivery. It is with fulfillment service providers that smaller companies are able to go about moving, storing, and delivering their goods to their customers. The visual above shows the two most common order fulfillment models – one which uses third-party service providers and the other where you basically handle all the major tasks. There could simply be too many chores that you may not have time to efficiently manage. The fact is marketing and selling are only half of the equation in an online business, the other half is getting your products to customers fast. The challenge with fulfillment is that the more customers and orders you get the more complicated logistics becomes. A fulfillment service takes care of those. Order fulfillment is big business and the entire industry including storage and warehousing will be worth $27 billion in 2019, according to an IBISWorld study. The US warehousing industry employs nearly a million employees and the majority of this labor force works in fulfillment and distribution centers. Below, we’ve consolidated all the reviews we have on fulfillment companies in order to give you the 20 best order fulfillment services of 2019 that you can avail right now. Rakuten Super Logistics is an all-in-one fulfillment management system that provides an aggressive delivery service to online retailers. With its eight fulfillment centers, it can seamlessly deliver in one business day to its clients. It caters to both local and international shipping. It offers a shipping cost optimizer that calculates and suggests the most affordable shipping methods based on the projected date of delivery. Aside from one-day order fulfillment where all orders will be shipped out within a business day by the time your customer hits “checkout”, the service also offers a 1-2 day delivery to 98% of the US via ground shipping. In addition to order fulfillment, Rakuten Super Logistics integrates with all leading ecommerce platforms and shopping carts, provides responsive client support, offers freight service with pick up and drop off, and has a suite of technology tools for inventory, shipping, and analysis. Alongside the aforementioned, the company extends other growth-inducing services such as marketing, marketplace connection, and customer loyalty program. Outsourcing order fulfillment makes it more efficient for you to run your ecommerce business. You can easily check this provider’s ROI to your operations when you get a Rakuten free quote here. What is unique about Rakuten Super Logistics? Technology tools. Rakuten service is powered by its cloud-based Webgistix SmartSuite of eCommerce fulfillment tools that include: Smartship Organizer (advanced analytics for optimizing shipping costs); SmartFill (for order management and inventory tracking); SmartFreight (speeds up inbound shipments to Rakuten’s fulfillment centers); SmartStock (ensures inventory is processed and made available for shipment); and SmartSupport (for customer-focused support). 100% accuracy. The service guarantees perfect accuracy as all orders go through three separate quality checks, backed by the assurance that if any error slips through you get the service for free. 1-day order fulfillment. The provider claims to take just one business day to ship out orders from Rakuten’s fulfillment centers, and 1-2 day delivery to most of the US. Personalized client support. Guaranteed response within 3 hours of your query, and access to a team of support representatives who work directly with fulfillment center liaisons assigned in the same facility where you store your products. Fulfillment by Amazon, also known as FBA, allows anyone to sell their items on the Amazon platform. It is most beneficial to those who sell small items (since fees are determined by item size and weight); those who sell via multi-channels; and those already selling at Amazon. Whether you sell just a few items or your inventory runs into the thousands, you can tap into Amazon’s renowned logistical capabilities and a global network of warehouses to take care of the bulk of fulfillment work. FBA will store your items in any of its 140 plus warehouses worldwide, handle item processing and shipment to your customers, take care of payments and refunds, and provide 24/7 customer service. Although you have your own responsibilities as a seller, FBA assumes the heavy-duty fulfillment tasks for you so you can concentrate on marketing, promoting and growing your eCommerce business. Outsourcing to FBA can provide you with several advantages including speedy processing, faster delivery and shipping times, climate-controlled warehouses, reliable returns and refund, and acclaimed customer service support. Likewise, FBA works with all leading shopping cart and e-commerce platforms and integrates with numerous third-party business and productivity apps to give you unprecedented flexibility in running your operation. With the FBA, you also gain greater market visibility and boost your reputation with customers as a seller when you leverage Amazon, a trusted and leading brand, into your eCommerce business. What is unique about FBA? Multi-channel selling. FBA allows selling not only on Amazon but also from your other sales channels like your own websites or other eCommerce platforms. With FBA, you maintain consistency over your ordering and shipping process across all your channels. Shipping rates discount. FBA items can be eligible for free shipping, putting them on the top of product listings with zero shipping costs. Prime members can also avail of Amazon Prime’s free Two-Day shipping on your items. World-class customer service. FBA gives you access to Amazon’s distinguished customer service which includes 24/7 multi-lingual international customer support through phone or email. Dependable returns policy. Amazon’s Online Returns Center allows customers to easily return items if so needed, although you as the seller you will be charged with a returns processing fee. Customer experience. You can provide your customers guaranteed and quick delivery, multiple shipping and payment choices, easy return policy, and quality customer service, among others, for the best customer experience. Vast warehouse network. With probably the biggest network of warehouses strategically located around the globe, you get to tap Amazon’s infrastructure and logistics for item storage, inventory, processing, and distribution. FedEx Fulfillment is a subsidiary of FedEx Corp. and was launched early in 2017 to help small and medium-sized companies fulfill orders from multiple channels such as online marketplaces and websites. The service is an integrated supply chain system that boasts of an easy-to-use platform and FedEx’s established transportation networks. FedEx Fulfillment is a logistics solution that offers warehousing, packaging, fulfillment, transportation, and reverse logistics services to its clients. Sellers can also utilize the service to manage inventory and integrate selling channels. With the backing of the FedEx infrastructure, clients can outsource their major fulfillment and logistics requirements to the provider and focus on expanding their business. Some of the features clients can expect from the service include full visibility into their products and mechanisms to track items, handle inventory, evaluate trends, and make informed decisions by understanding shoppers’ spending behaviors. In addition, the service provider offers unique selling propositions like same-day fulfillment cut-off times, two-day ground shipping to most US mainland delivery, and smooth returns/reverse logistics process with its entrenched infrastructure and transportation system. With FedEx Fulfillment, fast-growing small and medium-sized companies can achieve scalable and profitable operations through quick shipment, integrated supply chain solutions, and multi-platform fulfillment, among other service features. What is unique about FedEx Fulfillment? Multi-platform integration. You can easily integrate all marketplaces and eCommerce platforms to the service to enable fast and accurate order fulfillment. Global customer base. You can fulfill customer orders in more than 200 countries and territories that are within reach of FedEx’s transport and delivery services. Customized service. Easily address particular customer requirements through branded or custom packaging, kitting, in-store promotions, and other value-added services embedded within the warehouse. Reverse logistics. FedEx is a leader in reverse logistics and can provide clients with credits efficiently, process returns accurately, and identify the best channel to realize a returned product’s maximum value. You can use their reverse logistics expertise to process returned goods with speedy intake and sorting, automated disposition, and compensation from secondary markets for your unsold goods. Tracking and visibility in one place. You get a single platform to aggregate all orders and inventory, enabling visibility into all of your inventory and shipments as well as analyze and improve your fulfillment network. Supply chain consulting. You can tap the service provider’s integrated suite of supply chain solutions or avail of the expertise from their experienced logistics professionals to help you identify logistics challenges, how to address them, and improve your processes. Shipwire has warehouses in the US, China, Europe, Australia, and Asia, with more storage facilities being built. The service employs enterprise-grade warehouse management system (WMS) to provide clients with safe and secure storage for their items while undertaking shipping and special handling procedures. Its smart shipping platform is able to efficiently choose the best shipping couriers, packaging options, and routes for customers’ products, helping reduce shipping and fulfillment costs. The service makes use of a cloud-based platform to enable online merchants to power their global logistics network through a combination of clients’ or Shipwire’s warehouses for shipping internationally or domestically. It also utilizes on-demand and custom order fulfillment solutions to support B2B and B2C commerce. You can connect product supply to retail demand through drop shipping and linking to major retail channels. Built around a robust technology, the service allows customers to personalize and scale shipping solutions to fit their logistics requirements. What is unique about ShipWire? Automated and optimized operation. It automates just about every shipping process and reduces costs by leveraging order routing technology to optimize shipping rates, box sizes, and delivery times, among others. Data management. You are provided detailed shipping quotes, get to track order information, address inventory matters, and enhance customer support through real-time dashboards and reporting. Flexible system. Customers can choose the perfect storage location, compute their own shipping cost, avail of insurance options, and retain their brand while having their products delivered on time. Developer friendly. RESTful APIs empower developers to customize workflows for orders, returns, receiving, stocks, rates, products, location and vendors, and webhooks. There is also a robust developer kit with prebuilt connectors to extend your global reach. Ship anywhere. You can reach international and domestic customers quickly by shipping from Ingram Micro managed warehouses – over 154 fully managed locations in 45 countries that support custom and on-demand fulfillment solutions. Omnichannel connection. You can connect any sales channel, no matter how many, to the Shipwire platform and manage B2B and B2C shipments from a central portal. ShipBob is one of the top order fulfillment services that offer same-day delivery for orders placed in Los Angeles, New York City, San Francisco, Dallas, and Chicago. On top of that, the vendor provides 2-day shipping within the continental US. ShipBob provides two main services: a free software solution that businesses can use to manage inventory and orders. It integrates with e-commerce platforms and marketplaces and physical logistics to fulfill orders and for warehouse inventory. ShipBob positions itself as a next-generation fulfillment center whose main advantage is its location near merchants and end consumers in the largest metro areas in the US. This proximity allows the service provider to offer same-day delivery services, similar to Amazon’s at an affordable cost. Several reviewers consider ShipBob as a rising star in the fulfillment sector and an ideal fulfillment service for small businesses mainly because of its negligible startup costs, quick onboarding, and low fulfillment rates. The service provider offers standard fulfillment through its nationwide warehouses. This translates to clients being able to stock up the required amount of inventory and ship in batches as needed. ShipBob also offers crowdfunding fulfillment services, providing a low-cost alternative to ship large numbers of pre-orders and backer rewards simultaneously. What is unique about ShipBob? are no other hidden fees. Flat rate receiving. ShipBob charges a flat-rate rate of $35 per delivery instead of charging per pallet or other units received, enabling consolidation of deliveries and significantly lowering fulfillment expenses. Batch fulfillment. Ideal for shipping bulk orders such as marketing promotions, product launches, and backer rewards for crowdfunding campaigns since ShipBob can receive, package, and ship products in a single batch without any storage or onboarding fees – charging only a flat $35 amount, plus fulfillment. Advanced analytics and reporting. You can make smart data-driven business decisions with in-depth reports on orders, shipping, how to split inventory, and sales performance. Efficient management. Orders, inventories and returns can be efficiently managed, allowing you to check the status of orders, make updates to existing orders, view/add products, send/check inventory, merge products, check the status of returns and create return shipping labels. Red Stag Fulfillment is a popular US-based eCommerce order fulfillment service provider that specializes in shipments over 5 pounds and offers a 100% guarantee for their 48-hour dock-to-stock time, order accuracy, order speed, and inventory accuracy. The service combines cloud-based fulfillment platform with excellent operations to take care of your order fulfillment needs for fragile, high-value, and oversized goods, items above five pounds, and products that need customization or light assembly before shipment. The service utilizes FedEx’s expansive logistics and transportation network to ship oversize and heavy products at considerable discounts. In addition, Red Stag employs state-of-the-art quality control solutions to video-track their warehouses and packing locations to prevent theft, packing mistakes, and shipping damage. If an error is recorded in their service, they pay clients $50 for each occurrence. What is unique about Red Stag Fulfillment? Value-added features. They do not charge any setup fees and offer a 30-day trial without any long-term contract, allowing you to check out all their services and offers with minimum risk and make an informed decision for your online store. Service guarantees. The service boasts of its capability to reach 99% of American consumers within 72 hours; take all precautions to ensure there are no errors when handling their pick, pack, and ship processes; and pay you the wholesale cost of a damaged or missing order, plus $50. Transparent service. There are no hidden fees, no account management fees, and no SKU management fees. eCommerce integrations. The service supports eCommerce integrations both directly as well as via API. Orders get automatically forwarded to Red Stag as soon as they’re placed on your website. It integrates with more than 50 ERP and eCommerce apps to create an automated and seamless fulfillment process for your online business. Fast and affordable shipping. Red Stag utilizes cost-effective ground shipping to swiftly deliver goods to customers within 2 or 3 days. This is made possible because of established close partnerships with carriers that offer multiple service levels and shipping rates for your orders. 2-day product fulfillment network. Red Stag utilizes a network of strategically placed warehouses to significantly speed up as well as reduce the cost of shipping orders. Their logistics experts are able to optimize your inventory levels across multiple warehouses to realize cost savings and prompt delivery. FulfillmentCompanies.net takes on a different approach in the industry and plays the role of matchmaker between sellers and 3PLs. Backed by a dozen years of research into the logistics industry, it boasts of having the expertise of finding the right fulfillment company for your outsourcing needs. FulfillmentCompanies offers a free online matching service for sellers in search of credible and reliable logistics companies in the U.S., Canada, and Europe. The service pre-screens 3PLs and takes a detailed look at their pricing, storage and order processing systems. Vetting fulfillment companies is quick, taking only a few minutes and clicks and you get quotes from pre-screened suppliers. You’re matched with 3PLs that meet your requirements and specific needs. The service charges the supplier who pays a small lead fee once a match is made, hence it remains free for you the seller to use. The service is most beneficial if you are completely sold to the idea of outsourcing fulfillment and want a fast and simple way to find the best fulfillment service for you. An independent assessment and unbiased information goes a long way in ensuring that you get the right match to your unique situation. In addition, the service provides a nifty calculator tool, allowing you to determine and measure for yourself the cost between in-house and outsourced fulfillment. What is unique about FulfillmentCompanies? It’s free. Save time on research and service comparisons, and take out the guesswork in choosing a 3PL by using the free service. Vetted choices. You get connected only to vetted logistics providers in the U.S., Canada and Europe that have been pre-screened so you only get the best and suitable one for you considering that different businesses have different levels of requirements for fulfillment, warehousing, account management, distribution and customer service. Calculator tool. Helps you compare the costs of both in-house and outsourcing including rent, labor, utilities, insurance, shipping and supplies for the former; and management fee, storage, per-order fee, shipping and software for the latter. Phone & email support. Getting your free quote is just a phone call or email away. It takes only a few minutes to submit a request and under an hour for the service to process it and give you a shortlist of options (granting your credentials are validated without a hitch). Traditionally and manually, the time to do this initial research takes days or even weeks. Vendor portal. Fulfillment and 3PL companies interested to join the network of FulfillmentCompanies.net can do so through an online portal exclusively made for them. Fulfillify is built on a robust mobile-responsive technology platform designed to help eCommerce companies provide customers with ordering, storage and delivery services. According to the service provider, they ship on average over 75 million items annually, delivering products to end users all over the globe. The Fulfillify platform is easy to set up and use, allowing users to monitor their orders, inventory and products in real-time using any device. Having access to product data and information at all times is an integral feature of the service which also integrates with users’ existing eCommerce and shopping cart systems. Fulfillify provides fast sign-up and absolutely free setup and does not require prospective clients to get locked in long term agreements, giving businesses the choice to change providers in case they are not satisfied with the company’s service. Such offers also save clients’ precious time as Fulfillify does all the required setup, leaving its client’s with a fully functional system. What is unique about Fulfillify? Extensive capabilities. Aside from order fulfillment and logistical services, Fulfillify also handles kitting and custom order assemblies, as well as a fully managed returns management program. U.S. nationwide coverage. The service provider is able to reach 98.6% of the U.S. mainland population with same day pick, pack and ship service or 1-2 day UPS ground service to automatically fulfill orders from its nearest warehouse. Real-time operations. At the heart of Fulfillify is a state-of-the-art software that handles orders, inventory management, returns, and shipping processes. It provides users with inventory, material receipt, order detail, reordering, and tracking reports, all in real time. Detailed information & reports. You can get information on your inventories, sorted by products and locations, among other parameters. Automatically-generated reports enable you to view shipments to warehouses, product arrivals, status, customer orders, low inventories as well as get online alerts for reorders and stock replenishment. Mobile-first technology. The platform is designed with mobile-first responsive technology and formatted to work on all devices – smartphone, tablet, laptop or desktop – for access and control of your fulfillment, no matter where you are. Precision service. Fulfillify utilizes internal quality system based on 5S principles and Six Sigma standards, which result in quality measurements such as 98% inventory accuracy and 99.99% order accuracy, among others. IDS Fulfillment (IDS stands for Integrated Distribution Services) provides order fulfillment, warehouse and distribution, and transportation services to get your products to your customers quickly and on time. It touts itself as a results-focused logistics company that has the flexibility, capability and proven processes to help businesses attain a competitive advantage. Clients can utilize the service provider’s efficient and cost-effective supply chain that is anchored on fast transit times for speedy delivery, and lower shipping costs. IDS stocks goods regionally so that when an order is made on your online store, it goes directly to the nearest IDS warehouse to promptly package and deliver the product to the customer. The system can benefit both small and large online sellers especially during peak seasons that demand quick shipment times and optimized service. And since IDS offers flexible and scalable solutions, you can outsource any part of the fulfillment process – warehouse storage, distribution and returns – or have everything taken care of by the service. With its centers strategically located in the U.S. mainland, all equipped with industry-leading technology, the service provider guarantees accurate and on-time deliveries. In fact, it boasts of being able to reach 95% of US consumers in 2-day ground service. What is unique about IDS Fulfillment? Well established. IDS have been in the industry for the past 50 years and remained competitive and innovative, keeping up with the infrastructure and logistical needs of modern businesses. Integrated solutions. IDS banks on the word “integrated” in their name to provide a combination of solutions and consolidated processes in order fulfillment, from the simplest to the most complex orders. Flexible service. The service can handle all or just part of your order fulfillment, whatever you require. You can use their transportation service for deliveries, their warehouse for storage and inventory, their facilities for packaging, and customer service support for returns, among others. Season-proof operation. Times of increased demand, seasonality or high SKU counts won’t matter with IDS which employs performance-driven personnel to handle peak and large volume operations. Turnkey services. If your business has complex or heavy kitting requirements, IDS can assemble and fulfill product packaging, promotional items, and point-of-purchase displays as part of its services. Direct selling fulfillment. IDS is a long-time member of the Direct Selling Association (DSA) and understands the complexities of multilevel marketing (MLM) and direct selling fulfillment. Hence, IDS provides key features for direct sellers such as managing complex order profiles, consolidating parcel discount programs, customizing gift messages and packing slips, and packaging and presentation. VelocityShip is a well-regarded fulfillment company that has developed its own advanced software suite designed to help businesses meet their day to day challenges such as managing their supply chain, inventory and order fulfillment. This software that powers the VelocityShip platform integrates with over 60 marketplaces and shopping carts through a custom API, and automates the entire order process for accurate operation. Likewise, it can handle bulk processing of up to 10,000 orders every day, enabling you to process multiple orders quickly and simplify B2C and B2B fulfillment. Although it can handle the most complex fulfillment tasks, VelocityShip also caters to startups and special projects like crowdfunding fulfillment, subscription boxes, product labeling, inventory counting, and more. You can boost your bottom line by using the provider’s packaging, shipping, and kitting services. You can also tap into their global network of warehouses and connect your multichannel platforms to their system to expand your market and reach more customers. What is unique about VelocityShip? State-of-the-art software. To remove reliance on third-party software, VelocityShip came up with its own advanced software to streamline and manage all fulfillment processes. It integrates with dozens of multichannel selling platforms and eCommerce sites and can be customized with an API. Branding. The service allows branded packing slips with your name and logo. Its SmartNotify system can send your customers tracking information with your name, logo, and return email address. If you have multiple brands, they can customize each email shipment notification according to your brand. Your own logistics expert. The service does away with the call center method and instead provides each client a shipping and logistics expert right from the start. These experts are available any time and you can call, text, or message them directly for a prompt response to your queries and concerns. Special fulfillment. VelocityShip can handle crowdfunding fulfillment, subscription boxes, labeling of products, and other different outsourcing and fulfillment requirements. Smart storage. To keep everything organized, their storage system strategically arranges your inventory. They only charge for daily storage, so you pay only for the days that your items are kept in their secure warehouse. Automatic packaging selection. VelocityShip’s warehouse management system comes preconfigured with the right packaging types to suit any product, including choices such as satchels or cartons. Ships-a-lot is an order fulfillment company specifically targeted at growing eCommerce companies. Initially, the company’s founders wanted to create a fulfillment solution that is anchored on the platform Shopify, which will enable shipping items in real time. After developing the solution, the owners thought that the platform could be of use to other online stores, leading to the creation of Ships-a-lot. The first thing users will notice about the service is the ease of use. Simply logging onto the company’s website and providing information is enough for the service to give prospective clients pricing and details of on-boarding. However, the strength of service stems on its promise – speedy delivery of its customers’ products. It’s a promise of a 24-hour lead time backed by a guarantee to pay unsatisfied clients $20 for delayed shipments. This quick delivery feature is available 24/7. The service’s fulfillment centers are one of the most advanced in the business with a measured inventory accuracy pegged at 99.98%. This is maintained by constant monitoring with the use of barcodes, scanners and tablet computers. The system helps assure clients that their orders are not only accurate but that their products are all secured and accounted for. The promise. The 24/7 service is anchored on a promise of the quickest shipping with a 24-hour turnaround or they pay you $20 for delayed shipment. Flat storage fee. The platform offers its storage services for a flat rate of $35 per month regardless of stock quantity. In addition, the service offers customers unlimited storage space for their goods. Also, product shipments are not charged, making its pricing scheme highly suitable for eCommerce sellers who engage in high-volume transactions. Easy onboarding and operation. Clients need only to place their orders through the Ships-a-Lot’s online interface and the service will do the rest, handling automatically all aspects of logistics, from storage, packing to delivery. Accurate inventory management. The service’s technology platform is among the best there is, with a 99.98% accuracy rate. All of Ship-a-Lot’s transactions are barcoded, with its staff armed with a scanner or a tablet computer. Daily inventory counts are a common practice, using barcode scanners, with adjustments constantly logged. These processes guarantee the accuracy of clients’ orders. 24/7 customer support. All-day, all-night support could be accessed through cell phones, email and Slack, with a personal response to all client queries guaranteed to come within an hour. Tailored fulfillment. The service can tailor its picking, packing, and shipping process both to meet varying clients and customer’s requirements, allowing the option to avail only of certain services. Fulfillment.com is a worldwide fulfillment, storage and logistics company that helps businesses manage their time and resources when it comes to fulfilling customer orders. The company has facilities strategically located near parcel processing hubs throughout North America and internationally. Availing of their service and facilities saves you time and money by reducing transit times and other costs for your shipments. Your products are stored at facilities of your choosing and when an order is placed, the service can readily pick, pack, and ship the order within minutes. Fulfillment.com enables you to monitor your inventory, select the most efficient shipping method, group orders to lessen shipping costs, and validate addresses to enhance customer experience, among many other features. FDC’s state-of-the-art warehouses utilize commercial-grade equipment that works with the company’s proprietary technology and is built to scale to handle all kinds of orders, from the simplest to the most complex. The service also provides helpful features such as inventory alerts, inventory velocity reporting, and depletion date estimates to assist you in managing your product supply. What is unique about Fulfillment.com? Full operational control. The service gives customers full control over the logistics process, providing inventory tracking which enables users to manage inventories around the world, the capability to verify addresses, handle order re-ships and choose carriers 24/7 all from the system dashboard. Automatic order grouping. The system helps customers save on packing and shipping costs by automatically determining the carriers that offer the lowest possible costs based on customers’ shipping requirements. Multi-channel customer support. Customer service can be accessed 24/7 through various channels such as phone, email, live chat, and social media. Special services. More than just shipping and logistics, the service also handles crowd-funded projects, product kitting and assembly, labeling, pallet shrink wrapping, pack outs and bulk product breakdown. Warehouse security. Using state-of-the-art technology in all its storage facilities, each warehouse is equipped with fingerprint detection scanners, day and night monitoring and physical security. Warehouses are outfitted with climate-control systems, making sure that customers’ products will not be affected by adverse weather. Fulfilled By Sears (FBS) is the logistics arm of the US department store chain Sears. It has been selling and shipping its products and its merchant partners’ for decades and has made available to retailers that same reliable service. FBS is an end-to-end outsourced fulfillment service for retailers that includes warehousing, pick and pack and shipping orders to customers. Sears has since diversified into e-commerce (Sears.com) and, provides a third-party order fulfillment designed for businesses that need help in streamlining their order fulfillment to reduce costs and increase margins. It targets small, midsized and enterprise operations, but most suitable for businesses with enough order volume to absorb outsourcing fees without compromising retail pricing. There’s no minimum order or long-term commitment, giving you the flexibility to shift fulfillment from in-house to outsourced, and vice-versa depending on month-to-month order trends. Sears’ fulfillment service is open to sellers on both Sears.com and other online marketplaces. With the FBS service, you harness the expansive Sears network of fulfillment and distribution centers for your logistics and infrastructure requirements. What is unique about FBS? Global shipment. Sears has been globally distributing merchandise goods in volumes for decades. It can ship your goods anywhere with efficiency and take advantage of FBS’ discounted shipping rates if you’re a Sears.com seller. Pay-as-you-go service. FBS’ pay-as-you-go model charges you only for stored items and shipping. There is no lock-in agreement, long-term commitment, or minimum order volume requirement. Inventory control. FBS gives you full control of inventory and product pricing. You can even integrate your existing inventory management system and practices with the FBS platform. Manage seasonal peaks. Any time you get big-volume orders such as during the holiday season, FBS allows you to quickly scale on the dot, and then back to normal operations. All around integration. Sears works with providers of e-commerce solutions, online distribution experts, integration systems, and inventory management software such as SellBrite, Solid Commerce, ChannelAdvisor, and eComdash. Xpert Fulfillment provides third-party order fulfillment services including logistics and warehousing in the U.S. and international markets. It handles inventory and order management through a pick/pack/ship model, which is built on web-based systems that make tracking and communication accessible in the cloud and in real time. With its headquarters in Michigan, the company has a centrally located distribution center that can ship orders fast throughout the U.S. and Canada. It boasts of secured, climate-controlled warehousing for high-value products. Founded in 2008, the company has partnered with European Union-based providers to expand its international services and currently caters to both startups and Fortune 500 companies. With no minimum order requirement, the provider can scale its services to match a fast-growing small business. It also offers derivative services like marketing consultancy, print and web design, phone reps, direct sales, and global distribution. What is unique about Xpert Fulfillment? Transparent pricing. Xpert Fulfillment charges low monthly cost and has transparent terms and conditions so you know exactly what you’re being charged for prior to commitment. It also offers fixed costs and flat-rate shipping. Low fulfillment cost. The service does not require setup fees, minimum orders, account processing fees, and receiving fees (conditions apply). Web-based and tech-driven. The provider uses cloud-based order fulfillment and inventory management. You can also remotely manage, control, access, and track orders and inventory via the cloud system. Likewise, barcode scanning is used to ensure accuracy on order pickups. Discounted shipping rates. The service offers special rates based on order volume and structure. There are also various postal service and flat-rate shipping options, while ground, 2-day and next-day deliveries are eligible for discounts. Automated tracking and alerts. Real-time inventory insights and automatic notifications on shipment and order receipt are provided. There is also automatic email tracking confirmation available. eFulfillmentService was established in 2001 to provide a speedy order fulfillment service to clients around the globe. It utilizes the best technologies to ensure quality service and customer satisfaction. The service caters to all business types and sizes, providing end-to-end offerings for all kinds of eCommerce companies. The platform is known for both domestic and international shipping services, offering a variety of shipping methods to choose from. The platform offers free shopping cart integration, 24/7 client access to its order fulfillment software, inventory storage, and pick and pack service, among others. With eFulfillmentService, users can avail of flexible pricing options and discounted shipping options. The solution is popular for its dependable customer support program, offering a ticket system that is accessible 24/7 and a 100 percent customer satisfaction guarantee. Other key offerings of the provider are additional services such as returns handling, kitting and assembly, and marketing inserts. What is unique about eFulfillmentService? Shipping options. The service’s partnerships with known carriers give users the option to choose their preferred method of delivery, including low-cost shipping service for lightweight and mid-weight packages, ground delivery service, expedited and overnight deliveries. For inbound shipping, a 70 percent freight discount is offered to clients who send their items to the service using eFulfillment Services’ preferred carriers. International fulfillment. The platform’s international order fulfillment and shipping service can help customers expand their international reach and create new markets. Assistance in dealing with rules and regulations of destination countries is provided, while required customs duty is charged to end customers upon delivery. Tracking codes. Shipment confirmation emails are given to clients once a package gets off the service’s fulfillment center, along with a tracking code and a custom sales message for the recipient. Tracking codes allow users to monitor in real time their shipments through the users’ websites. Backorder handling. The company efficiently handles backorders and provides a $100 damage or loss insurance coverage for all standard ground, expedited and overnight shipments. Additional Services. eFulfillmentService complements its offerings with extra services like order returns processing, kitting/light assembly, custom technology projects, and special handling and collating of products. Fulfillrite provides e-commerce companies with end-to-end order fulfillment services like kitting and assembly, return processing and inventory storage. It is ideal for growing small and medium businesses or large enterprises looking to streamline their order management processes. The provider is open to servicing startups with a minimum of 40 orders per month and can handle as much as 40 SKUs. Started in 2009, the New Jersey, U.S.-based fulfillment company handles a variety of products including mobile accessories, tech and electronics, consumer goods, cosmetics and nutraceuticals and apparel. The company operates a strategically located distribution center in Lakewood, NJ, which is near major carrier hubs such as UPS, FedEx and USPS and an hour distance from major ports and airports in the East Coast, giving it easy access to inbound and outbound shipping. The Fulfillrite service integrates its system with all major e-commerce platforms such as Shopify, Celery, BigCommerce, WooCommerce, Magento and Amazon. This service allows for real-time order and inventory data through an API, via CSV, or manual entry on the Fulfillrite web portal. What is unique about Fulfillrite? Custom pricing. Fulfillrite offers custom pricing based on your requirements, meaning you pay on per-case or per-pallet basis. This enables you to adjust your monthly warehousing costs based on your monthly sales. Likewise, there are no hidden fees and long-term commitment. Commodified service of shared fulfillment. You can customize your own labels, ASNs, and POs based on your specs, so you can maintain your branding. The provider enables you to label your items with your company details and customize packing slip using your logo and even insert a gift message. You can also insert marketing brochures in your items as an option. Discounted rates. Leveraging its solid relationships with major carriers like UPS, USPS, and FedEx, the provider can offer a range of shipping options and discounted rates such as USPS Media Mail, USPS Flat Rate Services and USPS first Class Flats. Inventory and order monitoring. You can check inventory and track orders and returns in real-time using the provider’s web portal. Since the system is cloud-based, you can track order trends and check inventory imbalances from any internet-connected device. Dedicated service manager. A company officer who is privy to your account and operations will be accessible to you for any assistance you might need. The manager can also advise you on related areas like shipping carriers and solutions that are suitable to your needs. Floship is one of the leading order fulfillment services for global e-commerce retailers and crowdfunding campaigns. The company is based in Hong Kong, the world’s largest hub for air-freight, where an average of 4.4 million tons of cargo are moved yearly. The company gives you a strategic logistics location for your e-commerce expansion. Sourcing goods from China and elsewhere in Asia and shipping them worldwide is most convenient when your fulfillment facility is near manufacturing centers. The provider cites Apple as its model of global fulfillment, but the services are scalable to small business requirements. The 3PL company offers fulfillment for light assembly, packaging for procurement and shipping, labeling and other order preparations. It claims have fulfilled the most number of Kickstarter and Indiegogo campaigns, charging only for storage, piece-pick, and shipping. There are no fees for receiving and other fulfillment processes. Any size and type of business wanting to extend its global market reach can take advantage of the Floship’s vast shipping network and proximity to the world’s manufacturing giants in Asia. What is unique about Floship? Crowdfunding campaigns. These campaigns require fulfilling thousands of orders once the product is developed. Floship helps you deliver to backers and keep your commitment without tying you down to preparing orders, time better off spending on product strategy and development. Global e-commerce fulfillment. Floship can right away set up a global fulfillment infrastructure in days and in proximity to your manufacturing partners in Asia. Similarly, the Hong Kong base gives you a central hub to ship to international markets as the territory is linked to major global airports and ports. More shipping options and savings. You can leverage discount shipping with major carriers as the provider claims to partner with more couriers than its competitors, giving you much room for shipping options. Moreover, through a subscription model built on cloud technology, Floship can offer tiered plans that match a wide range of business dynamics and requirements. Value-added services. Aside from standard fulfillment, Floship offers value-added services such as marketing inserts, kitting and product quality check, as well as goods processing that require assembly prior to shipping. Customized logistics. The provider can assess your needs and build a custom fulfillment plan around it. It will study how best to protect your goods in transit, the fastest way to deliver them, and plan a return goods process that works with you. Whiplash is a modern order fulfillment service that is built to scale and takes care of the fulfillment workload for your eCommerce and online selling business. It can manage the day to day inventory and fulfillment as well as provide integration and technical support. 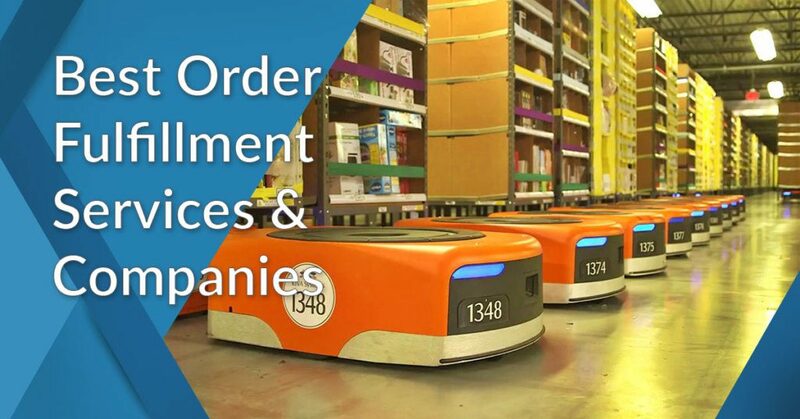 The service employs automation features to streamline vital fulfillment processes from ordering, payment, product tracking, shipping and delivery. It harnesses a network of warehouses for easy product storage and global distribution, and its real-time item monitoring and information ensures that every product stored and shipped is accounted for. The service integrates with major eCommerce platforms to boost operational flexibility and business performance, allowing you to concentrate on selling and building your business and letting the service handle logistics, warehousing, inventory management, payment processing, shipping and more. Its API enables you to create apps for particular tasks related to items and orders. The Whiplash system can generate return shipping labels for your customers as well as give you complete visibility of your order flow. You can control which items can be exchanged or set items which cannot be returned such as seasonal or final-sale items. It adopts a rule-based workflow that lets you set parameters for operational efficiency and smooth management. What is unique about Whiplash? Connected system. It connects easily with major shopping carts and eCommerce platforms so that when orders come through your store, Whiplash automatically receives them and processes the orders. Once products are shipped for delivery, the service updates your store with tracking information, closes the order, and updates your inventory. Scalable operation. Whether they are a few orders or thousands, Whiplash provides the same level of fulfillment service, tapping into its multiple facilities, elastic staffing, and over half a dozen shipping options. The service can even aggregate/bundle shipping volumes to qualify for lower rates. Overall view. Though much of the work of fulfillment is taken off your hands, Whiplash ensures that you get a view of the essentials – products, items, orders, inventory, and shipping – that you have entrusted to the service. You get features like real-time monitoring, dashboards and reports. Personalized management. Up until the moment they are shipped, you do last minute adjustment and changes like pause, edit, or cancel orders for one reason or another, giving you unprecedented control and personalization of the ordering process. You have an API key that you can configure to support and cover endpoints such as orders, items, ship notices, web hooks and bundle items. Automated processes. Most of the processes involved – from orders, payment and shipping – are streamlined for your ease and convenience so you can focus more on growing your business. Symphony Commerce was founded on the primary objective of helping clients establish and grow their own online sales channels, making it basically an eCommerce management company whose main offering encompasses all the needs of online sellers. Lately, it has seen a rapid increase in the number of fashion and consumer package goods brands using the service to boost their eCommerce capabilities. Order fulfillment is integral to the company’s service that includes automated ordering, safe storage and speedy delivery of products both in and outside the United States. Its basic fulfillment services are stacked with a wide array of features and offerings such as flexible pricing, reliable customer service, automation, integration, and analytics, to name some. These features go hand-in-hand to both attract and retain service clients. However, the service is not just about fulfillment since its on-the-ground physical fulfillment network helps its clients provide rich customer experience, which translates to customer loyalty and subsequently increased profits. What is unique about Symphony Commerce? Ready-to-go commerce platform. It is one complete system from the start where you can connect and open multiple sales channels and integrate various products and vendors. Cost-effective delivery. The service utilizes intelligent order routing and a multi-warehouse fulfillment network to provide you with cost-effective, 2-day delivery. Orchestrated fulfillment. The provider offers end-to-end fulfillment capabilities from order routing, inventory management, speedy delivery, returns processing, and even branding. All fulfillment tasks are in sync for a smooth and organized process. High-impact storefronts. Though the service’s platform, you can create responsive storefronts as your e-commerce gateway, and connect it with all other platforms and apps you use. Unified e-commerce structure. From a selling platform, ordering and inventory system to a fulfillment system with branding mechanism, the service puts everything under one roof. Printful is an easy online printing, fulfillment, and shipping platform. Over the last few years, it has become one of the leading custom print product drop shipping companies in the US, with services that include order fulfillment from its fulfillment centers in the US and Europe. It has ready-made integrations with most of the top e-commerce platforms including Amazon, offers competitive storage fees, and allows selling on multiple platforms at once, making it an ideal solution for startups and SMBs. Printful lets you print designs for yourself, sell designs in an online store or marketplace, and have your products shipped on demand, under your brand. To make it even more convenient, you can let the service do everything for you simply by ordering a product at Printful and having it printed, packed and shipped. Its warehousing and fulfillment service allows you to store your entire products and stocks in Printful’s warehouse and have the company fulfill all your customer orders, saving you space, time, and the hassle of packing and shipping items by yourself all in one go. What is unique about Printful? No minimums. It prints everything on demand so you can order as much as you need and you don’t have to keep an inventory. Free signup & no monthly fees. Opening an account is free, and you only pay when you submit an order, and only for the products you order. Automated order import. Orders you get at your e-commerce store are automatically imported into Printful’s system and sent to fulfillment. E-commerce integration & carrier partnership. Printful partners with global carriers to bring you many affordable and reliable shipping options, and integrates with popular e-commerce platforms and marketplaces to expand your selling reach. If you can do it on your own – manage orders, keep tab of inventory, store your goods, pick and pack products, ship and deliver them – why not? You get absolute control over your inventory as well as the packing and shipping process. And if yours is a small business, you can save on cost by doing all the work and outsourcing the shipping. Assuming you have all the space needed to store your items and other necessary materials (packages, boxes, packing slips, address labels, etc), then you’re good to go. But as your business grows and you take in more orders and deliver more items, you’ll soon realize that DIY will not cut it. The entire fulfillment process, even if you have a couple of helping hands, is time-consuming, cumbersome, and more expensive in the long run than having one fulfillment service do almost everything for you. You won’t need additional investment for storage space and a warehousing or inventory software. You won’t have to hire more workers to help pick and pack orders. Outsourcing the work to an established fulfillment service provider can be so much more convenient when you’re already dealing with hundreds or thousands of orders per month and delivering by volume. You can easily calculate the ROI of outsourcing order fulfillment when you get a free Rakuten Super Logistics free quote here. If you want to learn more about order fulfillment, check out our in-depth guide on order fulfillment services that tackle all the essential aspects of this type of service. Fulfillment By Amazon??? Good for small business with only a few things to sell??? NoNoNoNo… Run! I am a small business with 3 things to sell for under $10 – started with 500 units each. It’s been a little slow – still getting the right price and message in place. In the last 10 months, I’ve sold about 150 items way less than I expected. Here’s the many ways working with Amazon has gone bad: I shipped my product in from China and it arrived in the Oakland Harbor. There was a Fulfillment center right there – stone’s throw from the boat. But they insisted I ship my product to a center in Dallas Texas at my expense. Then… Christmas shopping season arrives and Amazon jacked the monthly storage fees up 5X, which sucked up any income I got from Christmas sales. I’ve had to pay out hundreds more to keep my account balance from going negative. Then… a couple of weeks ago, I was charged another $984 for “Annual storage fee.” Oh great. I have no idea what it will cost to pull all my product and have it shipped elsewhere. But I know it won’t be cheap. In the end, what was supposed to be a great idea – sell fun stuff to promote my website – has turned into a NIGHTMARE of financial loss. Unless you are CERTAIN your product will fly off the shelves – stay away from Amazon!!! They’re dangerous and you will get burned. Oh yeah – just saw that Jeff Bezos is the nearly the richest man in the world. Not surprised – must be nice. Absolutely second this statement! On this page now to urgently find somewhere to move my products from after 5 years with Amazon FBA. All of a sudden reasonable rates became rent! 1000$ in storage fees on a product that makes me 3-4000$ a month. Bye bye FBA! Run indeed! Wish I had seen your comment in time David! We are looking for one company to do worldwide fulfillment with local warehousing, taxes, etc… AND guide and set up Ecommerce worldwide. is there a company that can do this? Turnkey?